DUNCAN, Brenda K. 60, daughter of the late Richard M. and Annabelle (Jones) Duncan passed away June 26, 2016. 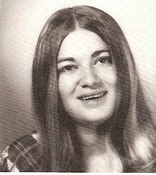 She was born in Springfield, Ohio on November 15, 1955 and was a 1974 graduate of North High School. She had one brother, Chester (Diane) Duncan; two sisters, Recile (William- deceased) Micochero and Phyllis (Glen) Oakeson; nieces and nephews, Chester Jr. (Becky) Duncan and their children, Cole and Allison, Kevin (Julie) Duncan and their children, Maverick, Logan, Addison and Matthew, Morgan (Tiffiny) Micochero and their children, Domonic, Donovin, Duncan and Deacon Micochero, Brian (Miranda) Micochero, Shawn Oakeson, Judson (Angela) Burton, Kirby (Sarah) Bolick and their children, Sawyer and Blair Bolick. Her family would also like to extend a special thank you to her caring Aides, Kathy Bayer and Amber Williams. Viewing will be held on Friday, July 1, 2016 from 6-8p.m. at JACKSON LYTLE & LEWIS LIFE CELEBRATION CENTER. Service will be on Saturday, July 2, 2016 at 2p.m. also at the funeral home with Pastor Dave Hill officiating. Burial will follow at Ferncliff Cemetery. Condolences may be expressed to her family by visiting www.jacksonlytle.com. You've reached the end of the gallery from the Guest Book . Submission failed. Please click "Try Again" to resend your inquiry. Thank you for your inquiry. Our team will respond within one business day. This video is temporarily unavailable. Please try back later to view this video. While you are waiting, add photos to the Guest Book.